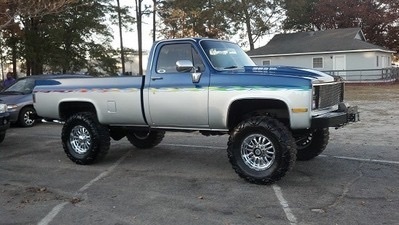 Lifted, custom w/ Stroker motor. 3/16/2015 Little Rock, Arkansas - Everything is new. 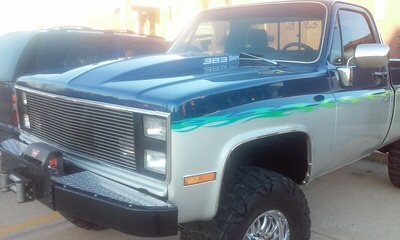 383 stroker, eagle forged rotating assembly, 10.5:1, aluminum heads, hyd roller cam, roller valve train, 750 holley etc. Aluminum radiator, electric fans, A/C! Turbo 400, 2800 stall all new. Transfer case all redone, 411 gears front and back all new. K20 3/4 ton heavy duty axels. Around 8" lift, Newer custom paint, rhino lined in and out. Custom interior with custom center counsel and built in speaker. 37.5 Nitto tires on 18" wheels. New Warn lock outs. 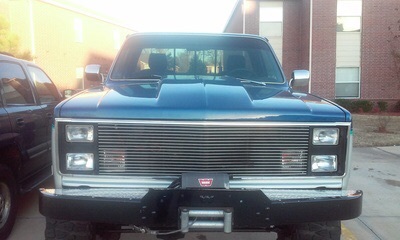 Warn winch, custom bumpers. Flowmaster full dual 2 1/2" exhaust. All braided fuel line, electric holley pump. Fully undercoated South Carolina truck with zero rust. For more info email at mnovak73@yahoo.com. You tube walk around youtu.be/U9ZEPw4onbk. 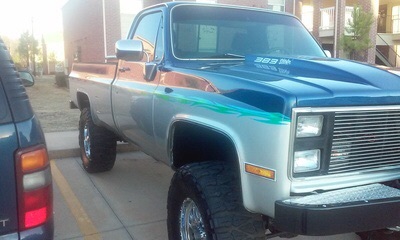 I will sell or trade this truck for a Chevy muscle car of equal value.